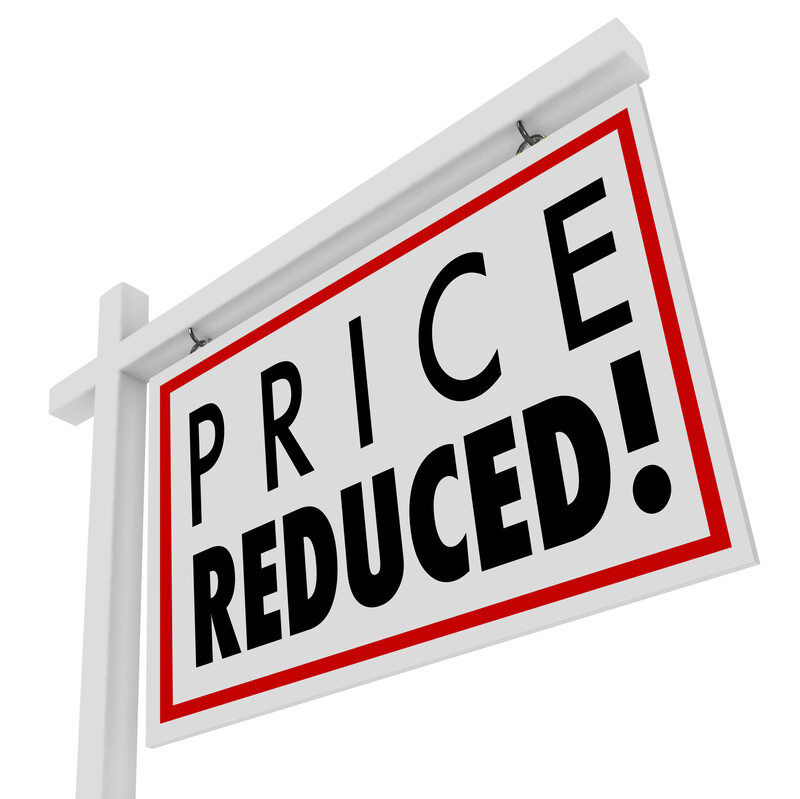 Price Reduction Strategy Blog | Is that the right strategy for the sale of your home? Your heart starts to sink and you start to question the whole strategy on your listing price. Well you are not alone. Every seller relies on their agent to provide the right price guide. Did you get excited about the higher appraisal price and list with the agent because of that? Or could it be that market conditions have lead to a sudden changes and a price adjustment is relevant. But how can the market move that quick? It happens more often than you think where agents offer a higher appraisal price to win the listing. This is called buying a listing. But not all agents are "buying listings". This may not be the case for you, but something to be aware of. So now you are in a "Price Reduction Strategy", as you are not getting the enquiries you need to get an offer. You have signed up for 3 months with your agent and you have no option but to go with the flow. So what went wrong? Why was it not the right strategy for you as a property seller? Why has it gone "pear shaped" after only 2-3 weeks on the market? Sellers tend to have a heavy reliance and trust in their agent. Their is an underlying trust and faith in them to do the right by you. In fact their code of conduct say they should and they have a fiduciary obligation to you. But you may have forgotten to do your home work in relation to your agents performance, skills and knowledge - did you get their resume? So how did you find this agent and how did you determine they were right for you? Was it due to the highest appraisal price, their continued contact with you or your past experience with them? Whatever it is, your focus now is to stop your listing price going down further. Price and presentation go hand in hand. So have you done everything you can to make the house presentation the best it can be? Have you created a profitable, competitive and saleable home in the current market? The agent you choose does need a specific set of skills. If they don't have that, then no matter how nice they are, they won't deliver the result you want. Some tips for you to consider when selecting an agent. Research and or gain comparable data to support the value of your property. Understand the value of your property. Not just the $$$ figure but everything else that makes up the value and your local market. Know who the target buyer market is for your home. This determines your marketing and presentation of your home. What is the value proposition of your home? What is the draw card for buyers to your property? What skills does your agent need? Interview the agent. What are is their past performance (good and bad) - what's their resume. Selling your home is a business transaction and I suggest that it should never come down to a "friends / mates" deal. The slippery slope of the price reduction strategy is a not a good path to be on. Many sellers end up losing faith in their agent and significant sales value. They also lose patience their dream new life and it creates extra stress all round. So how do you avoid being a statistic in the market. So what can you do to avoid getting into the wrong strategy? Do your home work on the right real estate agent to sell your home. Avoid the agent offering the highest appraisal price. Know your market. Do your research. Gain comparable data and analysis for the valuations you are provided. Set a market comparable listing price to draw buyers in. The more offers you get the likelihood of a better sale outcome. Understand the marketing and negotiation strategy for your home. Ensure you presentation and property condition are PERFECT to get premium price outcomes. The demands and expectations of agents are high. Agents have almost become a "jack /jill of all trades". Sellers expectations of what their agent should do for them can be overwhelming. Remember the agent works for FREE until they sell your home. The biggest complaint by any seller is the size of an agents commission. A good agent is worth every cent with the right skill set. Sellers need to take more control and responsibility for the sale of their home and stop shifting the responsibility to their agent. Agents need to realise that true value is added by those who refer clients to the right solution provider to help them pre and post sale - not do it all yourself. You need an agent who is going to deliver YOUR DESIRED outcome, not theirs!